Back in 2011 55-year-old Craig Lewis was admitted to the Texas Heart Institute suffering from a condition known as amyloidosis. The rare autoimmune disease fills internal organs with insoluble proteins which result in heart, kidney and liver failure. Lewis' heart had given up and the medical staff had to act quickly to save him, as he was going to die within the next 12 to 24 hours. Fortunately for Craig they were not ready to give up on him just yet and did something radical, they removed his heart and replaced it with an artificial one they made themselves. Dr. Billy Cohn and Dr. 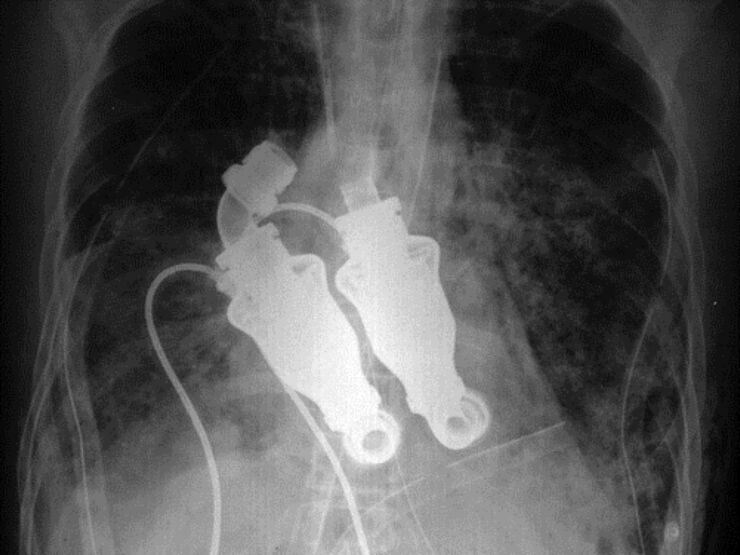 Bud Frazier invented the experimental device that replaced Lewis' heart, created from two modified HeartMate II pumps, some hand stitched pieces, and some components they bought from Home Depot. Instead of pulsing it whirled blood around the body creating a continuous flow. The new artificial heart worked perfectly, the next day the doctors walked in and saw Lewis writing and working on his computer. Living and breathing without a pulse or a heartbet. Incredible. "What we've done is show that human physiology can be supported without a pulse." says Cohn in the short film, Heart Stop Beating by Jeremiah Zagar, above which documents how the innovative doctors created this incredible 'continuous flow' device. 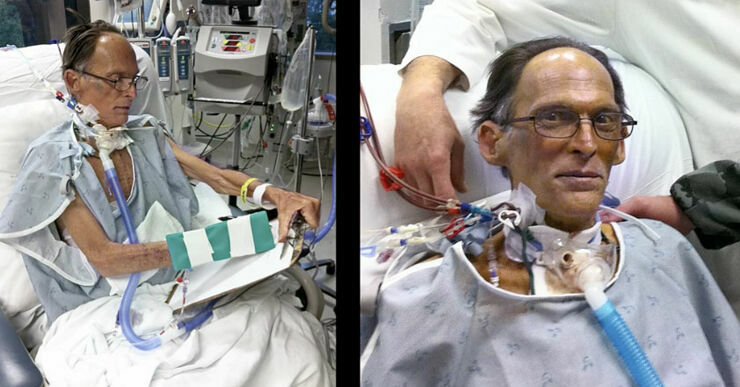 Lewis lived for five weeks with his artificial heart, surviving without a pulse. He then died but not because of the new heart, that was still working fine, but due to problems with his kidneys and liver. Previously, patients with full heart failure had just two options: artificial heart, with all its limitations; or join the transplant list. If you think about this procedure though it does raise a few ethical questions. 'Who knows where you will put your hand when you say the Pledge of Allegiance?' said Dr Cohn. 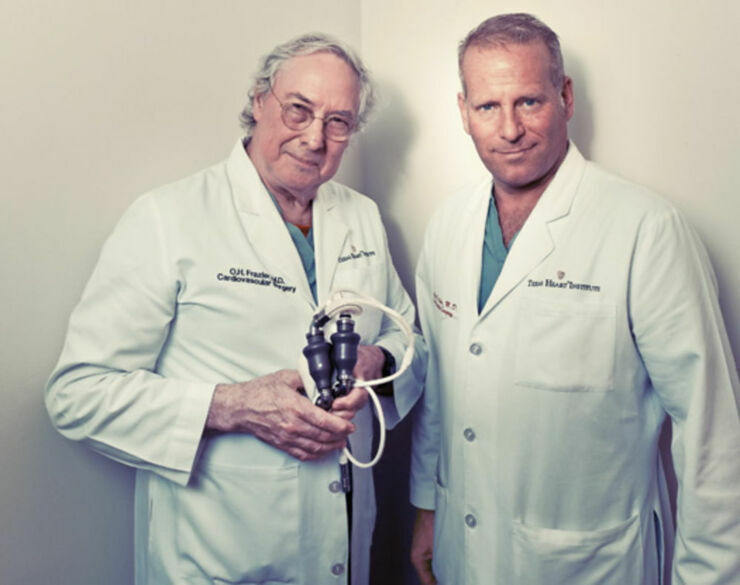 You can learn more about Bud Frazier and Billy Cohn's continuous-flow heart pump in their TED Talk below.